Transforming the digital enterprise through Cloud and focusing on new developments within the industry. We build relationships with new and existing customers and recognize the value of loyal customers. We connect to businesses that are looking for our company's services. Connecting you to the right space designed to optimize your business. 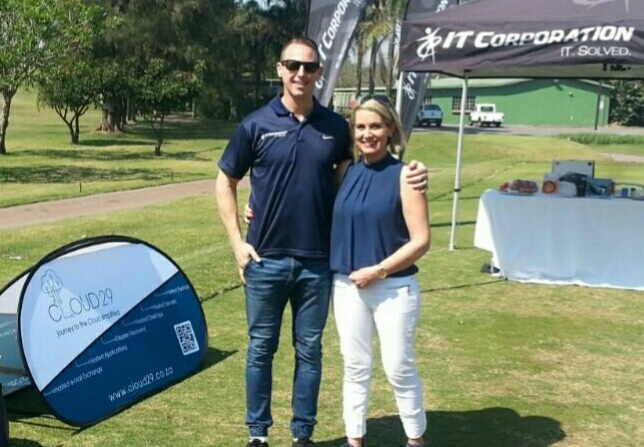 Cloud29 co-sponsoring a tee at the annual Mancosa [GSB] Golf Day. Mancosa [GSB] is the postgraduate unit of MANCOSA and a member of the prestigious HONORIS United Universities Institution. IT Corp/CLOUD29 are MANCOSA’s cloud hosting partners for MANCOSA’s MIS portal for their 275 MIS users; their Student portal now hosts more than 14,000 students from around the world. Cloud29 seen here presenting their roadshow business brunch event. Introducing CLOUD29 to the IT community in JHB. Small to medium business focused IT company's were invited to attend as seating was limited. The focus is IT businesses that partner with us (Cloud29) and from the event will be brought on board as Gold partners. 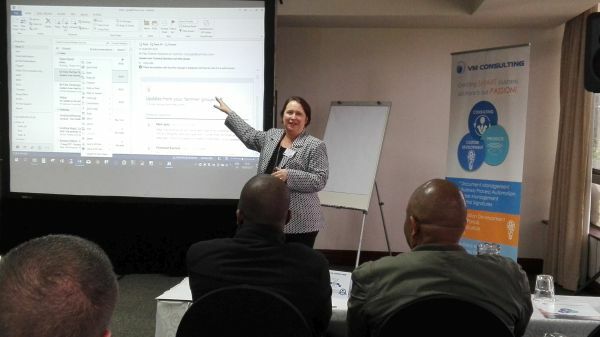 Seen here is Vanessa Miller (the VM in VM consulting) demonstrating the power of M-Files Intelligent Information Management. CLOUD29 has partnered with VM Consulting to bring a unique M-Files offering to South Africa branded as M-Box. M-Box can integrate with any file system or database including SharePoint and help businesses get value from their documents by intelligently providing access to information on any device, anywhere. No need to be in the office to securely find update and manage any business information. M-Box frees your data in a controlled manner so that you are no longer locked into archaic filing systems. This means you no longer need to know "where" you saved it, you only need to remember "what" it was about. Kelvin Jones, Cloud29 #Cloud29za were at Dube TradePort iConnect with their partner IT Corp and IX (ix.co.za). Seen here animatedly explaining (and praising) the virtues of cloud is Steve Johnson. 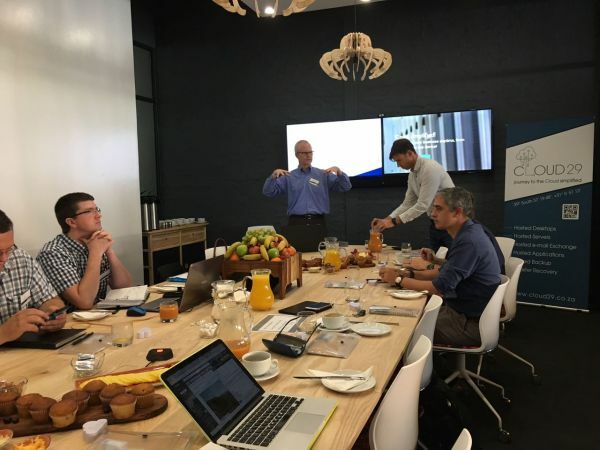 He's enthusiastically letting his customers "touch the cloud" while he introduces Johan of IX and Byron of IT Corp to the tier 3 class quality cloud infrastructure that #CLOUD29 customers have grown to love. A great event, small to medium and enterprise IT companies attended. We were excited to introduce our "Cloud, simplified" service. There was a lot of great interest shown and we would definitely classify the event as a success. Workshop 17 an awesome venue. Dube Tradeport logistics platform and the iConnect datacentre was introduced to the attendees, very well received. Our partner event at the office was great, lots of coffee and chatting around our new price structure. This informal office event acknowledges our partners and gives all the opportunity to address issues and help contribute to improving our cloud services. We also introduced Office 365 as a product for IT companies that don’t like the complexity around it. Our unique offering integrates with our premium email security product, Mimecast, which includes ransomware mitigation…that works! We do all the work, they connect the customer with a name and password. Email, simplified! "Touch the Cloud" - Invite your customers to 'touch the cloud' with us. 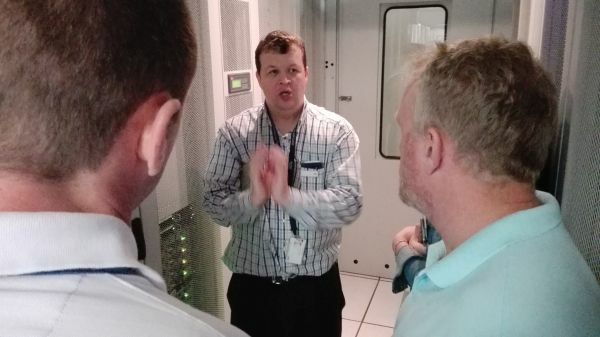 Contact us to organize a tour of the Dube TradePort iConnect datacentre. Kelvin Jones gave an excellent talk explaining cloud computing, storage and the pros and cons. 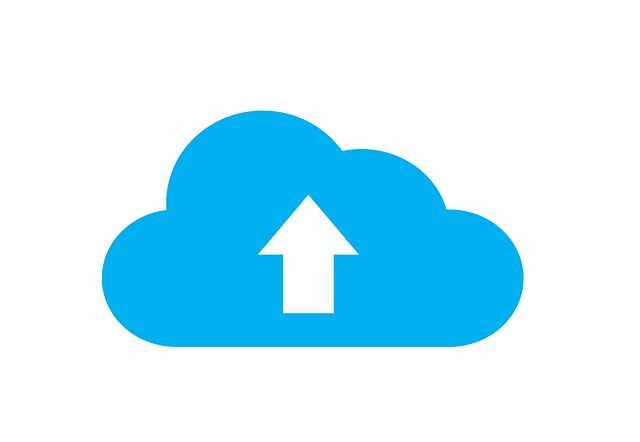 A simple understanding of cloud - Cloud computing is a type of computing that relies on sharing computing resources rather than having local servers or personal devices to handle applications.